Travelling through the misty winding roads of Sri Lanka’s famous hill country, you suddenly glimpse acres of lush emerald green rising up to disappear into cloud cover or sloping down to misty canyons. It will disappear from view and suddenly appear again as you climb higher into the cool climes. 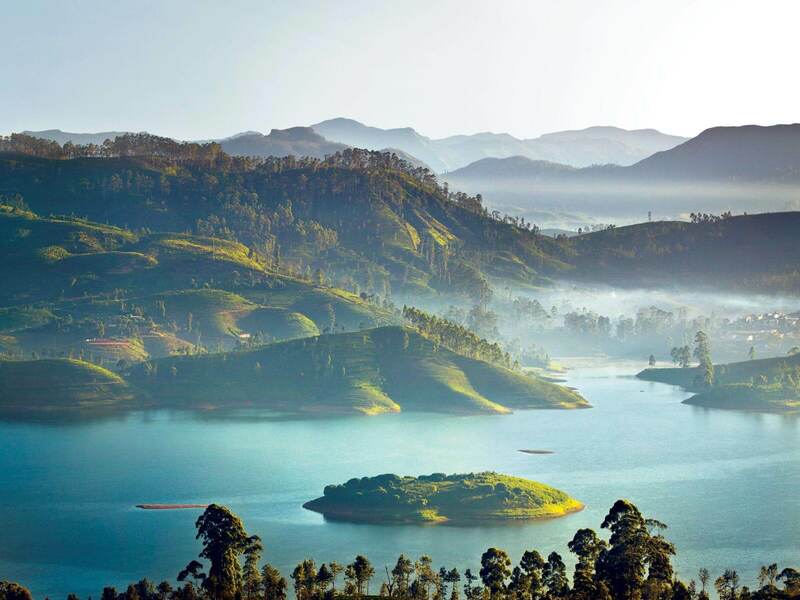 Interspersed with waterfalls, rising mountain tops and natural beauty that the island formerly known as Serendib is bestowed with, rises the heart of Sri Lanka’s tea country. Cultivated over centuries, these gardens gave the island (then Ceylon), its firm place in the hearts of tea drinkers around the world for that delicious brew unmatched in taste and variety – Ceylon Tea. Established during the late 19th century by the British colonial masters, these tea gardens along with their beauty speak of a labour of love. Each day, thousands of tea pickers pick with nimble fingers the two leaves and bud which is then manufactured in the traditional way with the art of the teamaker and nature’s best coming together. It is only a true teamaker – one who nurtures his crop and then lovingly manufactures it in an artisanal manner perfected over centuries – who knows his tea and can produce the best in quality and variety.